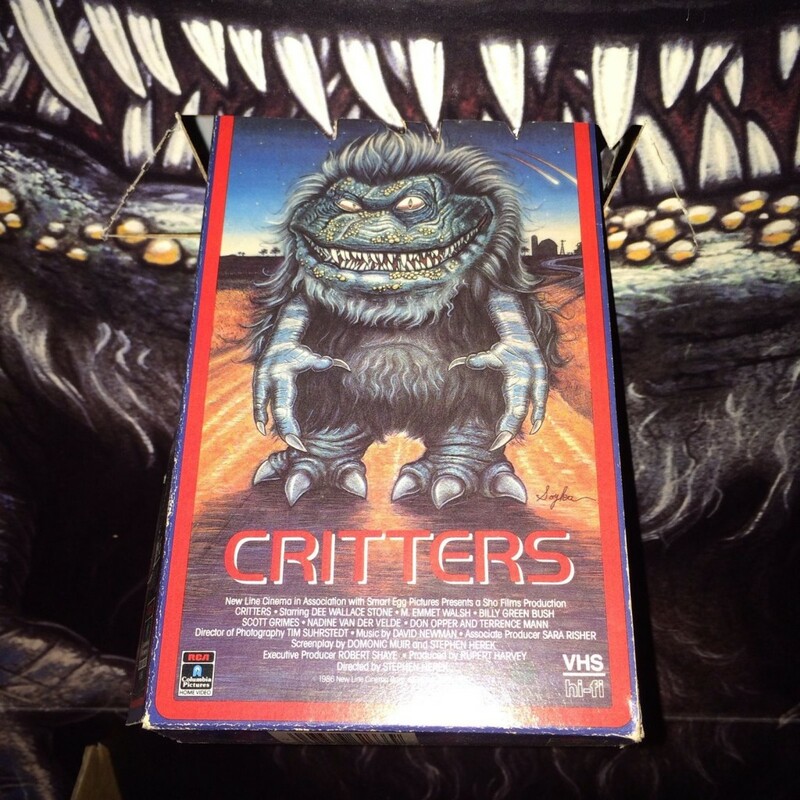 Horror Holiday Gifts: Rare ‘Critters’ VHS Display From 1986! What do you get the horror fan in your life that already has everything? 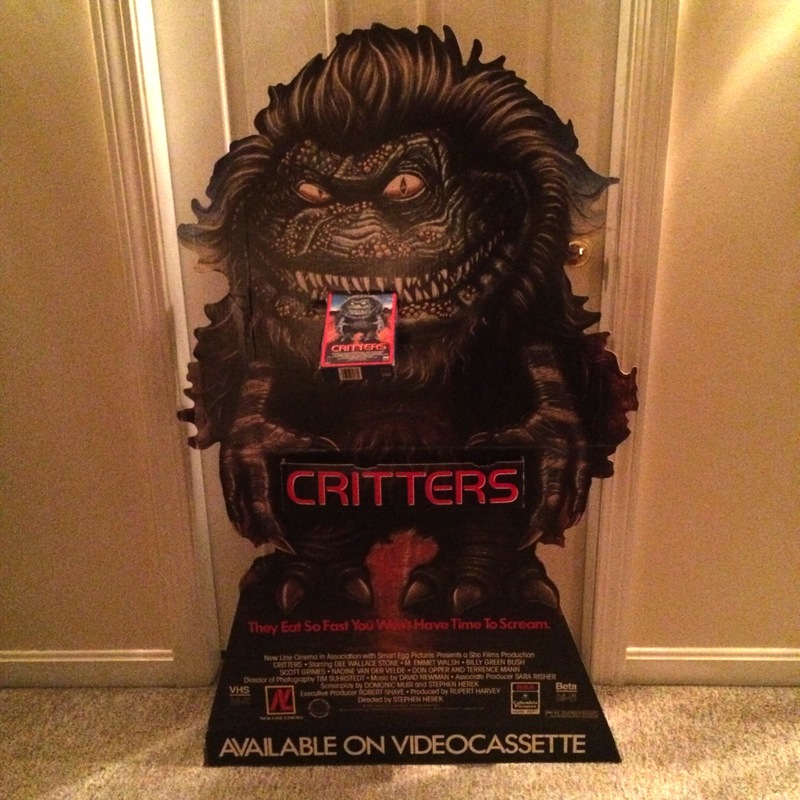 Why you get them a rare video store standee from the 1986 sci-fi/horror flick Critters, that’s what! On Ebay right now, someone is selling a vintage display that was used to promote Critters when it made it’s debut on VHS back in 1986. You remember VHS tapes, right? Standing about 4 feet tall and holding the actual video cassette case from the movie, this standee is actually that kind of thing that I love Ebay for. I remember seeing this exact one in my local Mom & Pop video store growing up and if I had the room, I just might slap a bid down on this cheesy piece of nostalgia. What perfect timing too, because with the holidays right around the corner, maybe you can surprise that special Critters fan who’s always wanted something like this. Or you’ll get it for them and they’ll look at you confused and say “What the hell did you get me this for?” You’ll get a reaction either way! There are three days left to bid and at the time I’m posting this, the bid is at $100. Head on over right HERE and take a look. Beats the hell out of getting someone another pair of socks.